The brain and body are connected via neurological pathways. Inflammation in the body leads to inflammation in the brain, causing symptoms of anxiety and depression. The MTHFR gene converts folate from food into methylfolate, the active form used for methylation. Methylfolate is a cofactor for the production of serotonin and dopamine, which are neurotransmitters involved in the regulation of mood. Research indicates that 70% of depressed patients have a genetic variant on MTHFR. Methylation is important for balancing neurotransmitters, as well as reducing oxidative stress and inflammation, both of which contribute significantly to depression. Methylfolate is only one of the important nutrients involved in methylation, others include Vitamin B12, Vitamin B6, zinc, choline and methionine. Deficiencies in these nutrients will hinder the proper functioning of the methylation pathway. 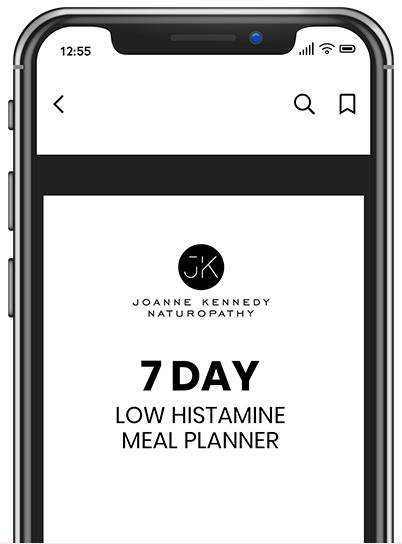 Histamine is a neurotransmitter in the brain that controls the sleep-wake cycle and promotes the release of adrenalin. Excessive amounts of histamine in the brain cause insomnia and promotes the release of adrenalin and noradrenalin from the adrenal glands. An increase in these hormones cause many of the physical symptoms of anxiety including heart palpitations, shortness of breath, sweating, shaking and nausea. Histamine can also be increased by oestrogen. Oestrogen is able to cross through the blood brain barrier stimulating the release of histamine in the brain. Histamine in the brain needs to be broken down and eliminated via methylation. If you have MTHFR and methylation cycle issues, your ability to reduce histamine may be compromised. Pyroluria, also referred to as kryptopyrroles or pyrroles, is a biochemical imbalance in the body, causing a build up of pyrroles, which are waste products produced by the breakdown of haemoglobin. Haemoglobin is the oxygen-carrying protein within red blood cells. Everyone makes pyrroles, however some people produce excessive amounts of pyrroles, which can be a problem as these pyrroles bind and inhibit the utilisation of zinc and Vitamin B6. Zinc and B6 are essential nutrients for mood. They are cofactors for the production of the neurotransmitters, serotonin, dopamine and GABA . When zinc is low, it can allow copper to become too high. This is due to zinc and copper acting in an antagonistic manner. High copper can also be due to inflammation, oxidative stress and high oestrogen. When copper is too high it can shunt dopamine into adrenalin, which in turn increases cortisol release causing anxiety, irritability and panic attacks.